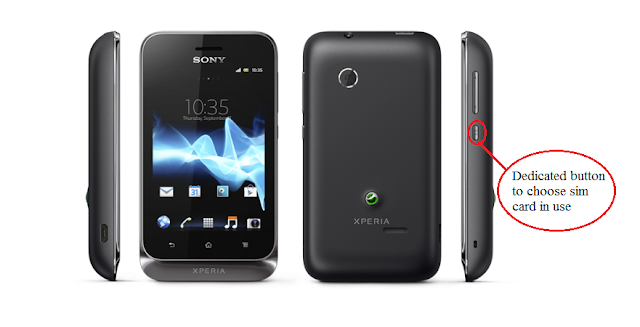 Sony Xperia Tipo & Tipo Dual are two distinct smartphones launched by Sony in the regular usage category. The two Xperia Tipo phones are very identical to each other, the only difference is that Tipo Dual is a dual sim phone with a dedicated button to choose which sim card you want to use. In my eyes it is the Best Dual Sim smart phone in style and features for a price of around Rs. 8500 for Tipo and around Rs. 9250 for Tipo Dual. The Sony Xperia Tipo & Tipo Dual price in US Dollars is 160 $ and 170 $ , price in UK pounds is £ 110 and £ 130 for single sim and dual sim respectively. The Sony Xperia Tipo & Tipo Dual comes with Ice Cream Sandwich Android 4.0 OS out of the box which is a small step below the newer Android 4.1 OS Jelly bean. But personally I consider it a must buy, because of the features, looks, Sony Xperia brand and a lot more things, which I have explained in detail in the following post.